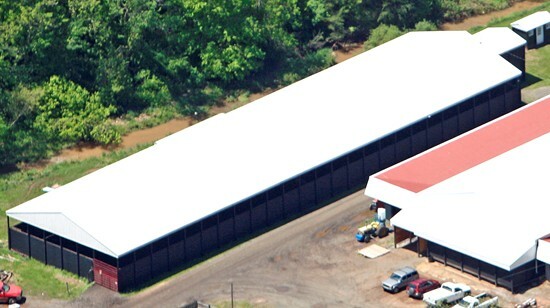 Gnu arena is where most of our jumping classes are held. Its large viewing booth and bleacher seating make it a wonderful place for visitors to watch a riding class. 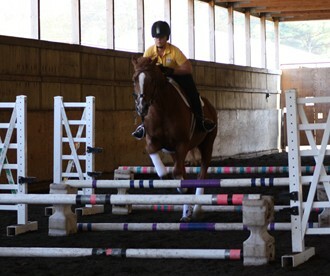 Students in the Jumping major learn the mechanics of jumping as they relate to hunters, jumpers and event horses. The development of a balanced, effective seat in the rider is emphasized. The student develops the ability to pace, estimate distances, determine effective lines for jumping and analyze courses. Continuing our tour, we will be moving to the farrier shop where all horses on campus go to be trimmed or shod.